10 oz. 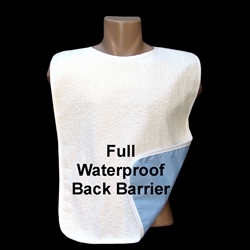 terry cloth on front of bib. Hook and Loop Neck Closure. Similar to VELCRO® BRAND closures.